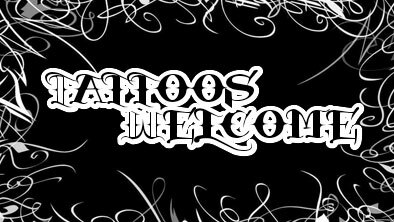 Tattoos Welcome – Pentecost Sunday "We Love People"
Tattoos welcome….. This has been a statement passed around in the church for awhile, and the truth is it includes the essence of who we are. No matter what a persons background, they are welcome here. Tattoos often represent something or someone important to us. What is important to you? This series is about the things we make important in our lives. We are not trying to give a biblical defense or rejection of tattoos, but rather focus on the true importance of the situation, a relationship with God. God love us so much our past can never hinder his love for us. On Pentecost Sunday, we celebrate how God now is in relationship with every person on the planet. How many people carry a tattoo about their relationships with friends. Join us on this fun journey, and deepen your relationship with God, and after you have become friends with God, we will let you decide about tattoos.